Long Island Sound is an estuary with almost the entire state of Connecticut within its watershed. Wise use and conservation of our coastal and inland resources is critical to the health of Long Island Sound. The Connecticut Sea Grant Extension Program supports management efforts to conserve and protect ecosystems, habitats and living resources within Connecticut and the northeastern United States. Support of management efforts includes conducting research, education and outreach in coastal land use and community planning, habitat restoration and enhancement and water quality. Fostering collaborative partnerships with federal, state, and local municipal agencies as well as conservation groups is key to coastal resource management in Connecticut. In Connecticut, the term "living shoreline" is used to mean a shoreline erosion control management practice which also restores, enhances, maintains or creates natural coastal or riparian habitat, functions and processes. Coastal and riparian habitats include but are not limited to intertidal flats, tidal marsh, beach/dune systems, and bluffs. Living shorelines may include structural features that are combined with natural components to attenuate wave energy and currents. Shoreline Homeowners: Try this new tool to learn how to beautify your coastal property by planting the right in the right place, while reducing erosion. Click here for more information on why it is important to plant coastal riparian corridors? Clean Waters: Clean Waters is an educational program developed by Extension Educator Heather Crawford, focused on everyday practices through which individuals can protect their local water resources. Contact Nancy Balcom to find out how to bring the Clean Waters presentation to your group. The CT Sea Grant Extension Program, with the Nonpoint Education for Municipal Officials (NEMO) Project, has developed a Clean Waters: Starting in your Home and Yard Fact Sheet series for homeowners. The 11 fact sheets cover a variety of activities that impact water quality. 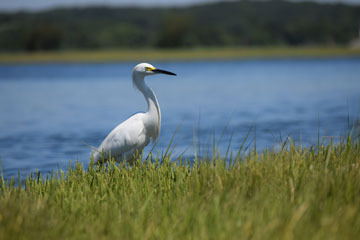 Coastal Habitat Management Tool: A habitat-based management tool for land trust stewards and town open space managers in the long-term conservation and management of open space in Connecticut. Connecticut Shoreline Change Analysis: The Connecticut Shoreline Change Project analyzes how the Connecticut shoreline has changed between the late 1800’s and 2006 through loss (erosion) and gain (accretion) over time. Focus on the Coast: Developed as a Sea Grant Coastal Community Development project in collaboration with the Connecticut NEMO program, this website provides a wealth of resources for coastal land use decision-makers in Connecticut, using GIS technology. Information includes maps and data on such things as tidal marshes, migratory fish runs, submerged aquatic vegetation, and other valuable natural resources. NEMO website: CT Sea Grant collaborates with the U.S. Department of Agriculture and the Connecticut Cooperative Extension System and is part of the Nonpoint Education for Municipal Officials ("NEMO") team. NEMO provides training and information to help officials, commission members, and community leaders make well-informed decisions regarding development, land-use patterns and non-point pollution control in their coastal towns. 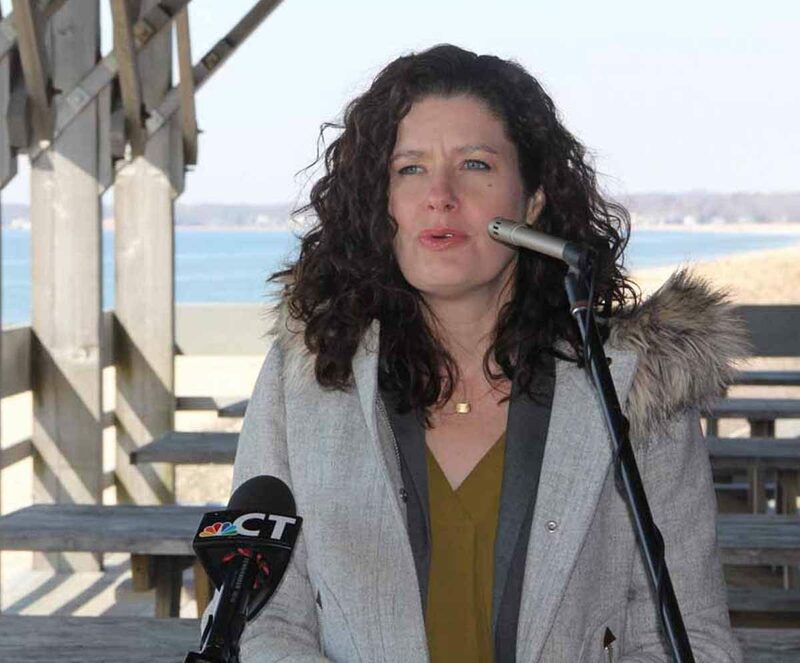 The public is invited to six regional meetings and a film premier event over the next eight weeks to learn about and comment on the Long Island Sound Blue Plan. Rapid temperature increases, more acidic waters and species shifts in Long Island Sound are among the findings of a Connecticut Sea Grant-supported study of 45 years of data collected by Project Oceanology. Spring’s sunny beginning on March 20 drew dozens of beachgoers to Hammonasset Beach State Park in Madison, making for an especially fitting backdrop for the public release of the Long Island Sound Blue Plan, a first-of-its-kind inventory and guide for the estuary shared by Connecticut and New York. View our coastal habitat publications.